Hold it as though you would be in fear of losing it». 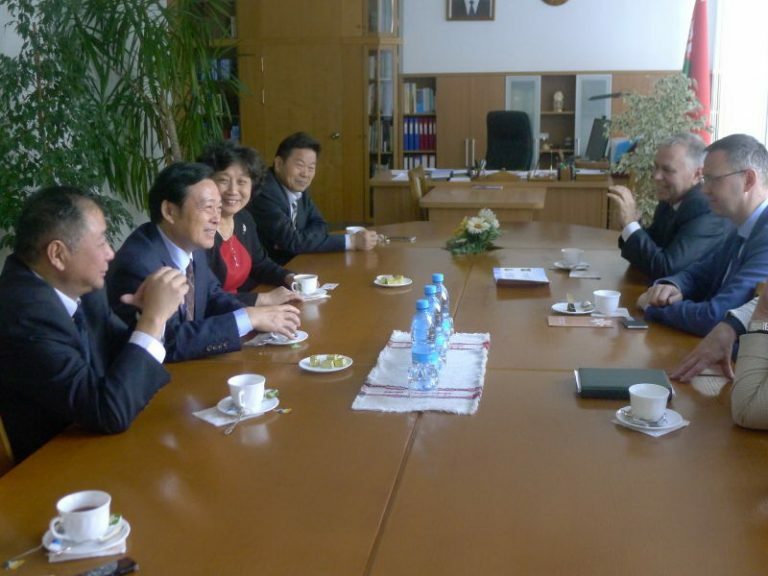 The history of Confucius Institute at Francisk Skorina Gomel State University can be traced back to December 2015, when Rector of the University Professor Alexander Rogachev paid a call to Jiangsu Province on a delegation of business leaders of Gomel region. Nanjing University of Science and Technologies proposed a motion to establish Confucius Institute at GSU in order to develop the concept of “One Belt and One Road Initiative” (OBOR). 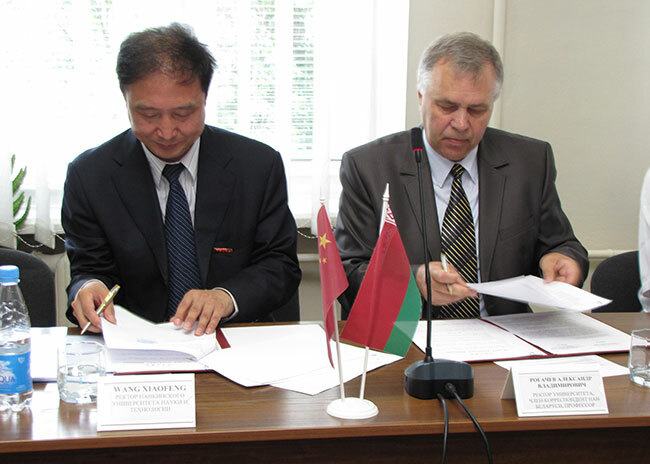 The application for Gomel Confucius Institute was sent to Nanjing University of Science and Technologies and forwarded to the Confucius Institute Headquarters (Hanban). 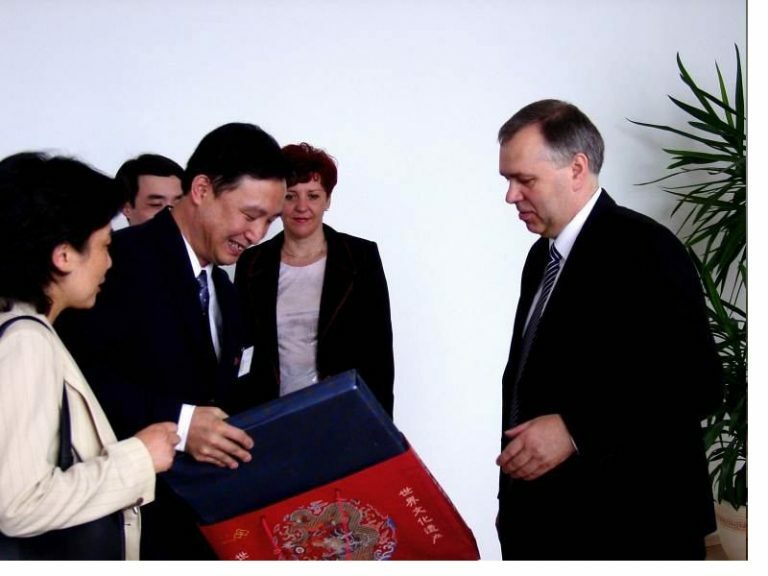 On April 1st 2016 Partnership Agreement on Confucius Institute establishment was signed by Nanjing University of Science and Technologies and the educational institution “Francisk Skorina Gomel State University” during an official visit of Professor Rogachev to Jiangsu Province. to teach Chinese in accordance with the established programmes, using multimedia programmes, Internet resources, etc. to organize students’ festivals and other cultural and educational events devoted to the People’s Republic of China. 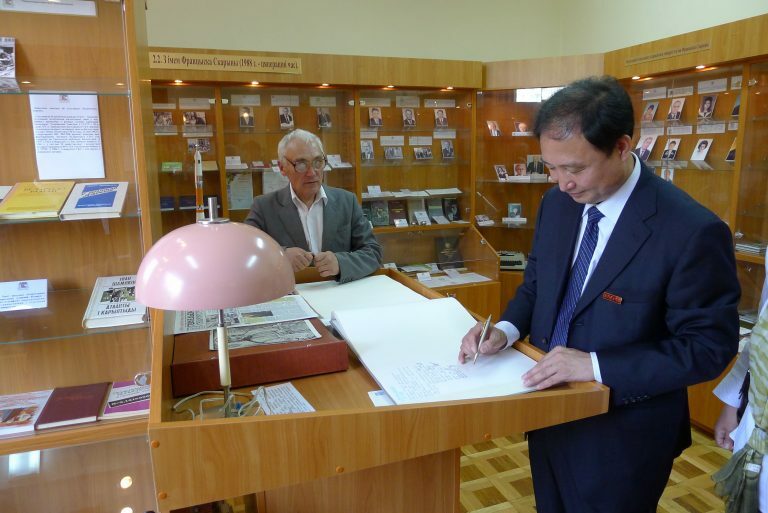 Francisk Skorina Gomel State University has undertaken a commitment to lodge the appropriate rooms for Confucius Institute and provide it with staff members in order to establish effective performance of the Institute. 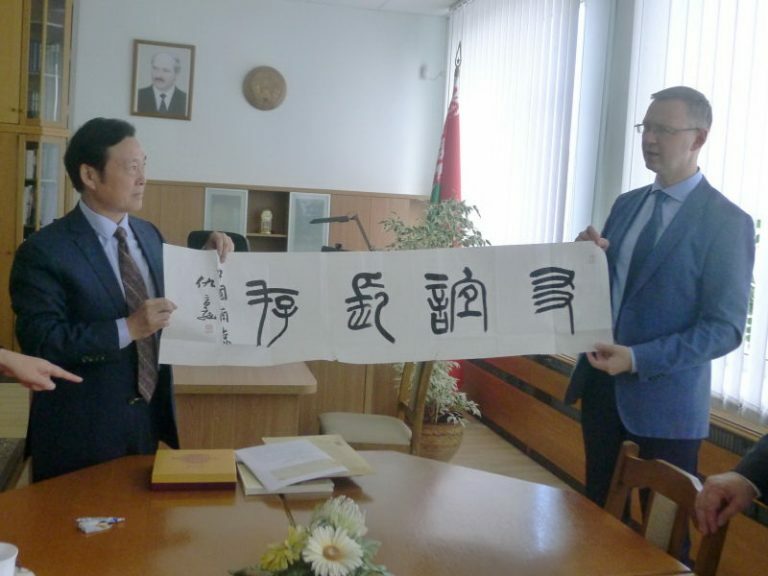 The following step in Confucius Institute organization was the Agreement execution between Confucius Institute Headquarters (China) and Francisk Skorina Gomel State University (Belarus) for Confucius Institute establishment at Gomel State University. Confucius Institutes devote themselves to satisfying the demands of people from different countries and regions in the world who learn the Chinese language, to enhancing understanding of the Chinese language and culture by these peoples, to strengthening educational and cultural exchange and cooperation between China and other countries, to deepening friendly relationships with other nations, to promoting the development of multi-culturalism, and to construct a harmonious world. This Constitution and By-Laws is applicable to all Confucius Institutes worldwide. In any other language, the name chosen to represent the Confucius Institutes must be equivalent in connotation and meaning to that of the head institute in Chinese. The Confucius Institutes are non-profit educational institutions. Adhering to the principles of mutual respect, friendly negotiations, and mutual benefit, the Confucius Institutes shall develop and facilitate the teaching of the Chinese language overseas and promote educational and cultural exchange and cooperation between China and other international communities. The Confucius Institutes shall abide by the laws and regulations of the countries in which they are located, respect local cultural and educational traditions and social customs, and they shall not contravene concerning the laws and regulations of China. The Confucius Institutes shall not involve or participate in any activities that are not consistent with the missions of Confucius Institutes. A Confucius Institute can be established in various ways, with the flexibility to respond to the specific circumstances and requirements found in different countries. 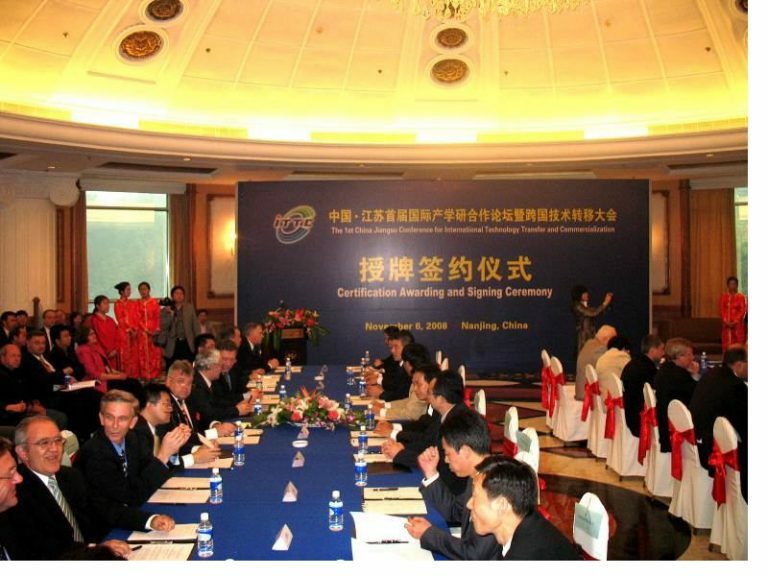 Any corporate entity outside of China capable of facilitating language instruction, conducting educational and cultural exchange activities, and meeting the requirements for application as stated in this Constitution and By-Laws may apply to the Confucius Institute Headquarters for the permission to establish a Confucius Institute. The Confucius Institutes conduct Chinese language instructions in Mandarin, using Standard Chinese Characters. Conducting language and cultural exchange activities between China and other countries. The Confucius Institute Headquarters is a non-profit organization that has the independent status of a corporate body. It owns the proprietorship of the name, logo and brand of the Confucius Institutes. The Headquarters is the regulatory body that provides guidelines to the Confucius Institutes worldwide. 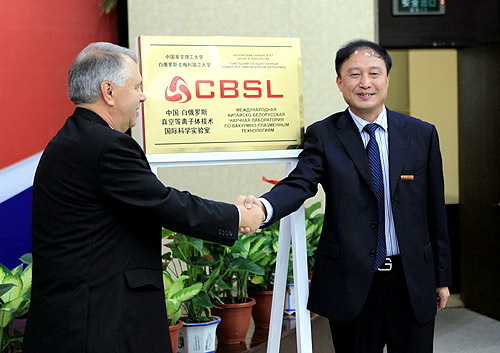 The Headquarters is located in Beijing in the People’s Republic of China. The Confucius Institute Headquarters shall be governed by the Council. The Council shall consist of the Chair, the Vice Chairs, the Executive Council Members, and the Council Members. Candidates for the Chair, several Vice Chairs and the Executive Council Members shall be recommended by the education administrative agency of the Chinese State Council and approved by the State Council. 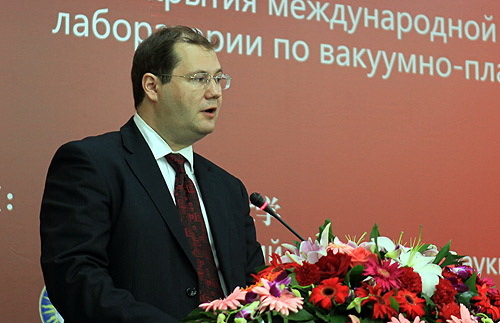 Among the fifteen Council Members, ten shall be the Heads of the Board of Directors of Confucius Institutes overseas. These ten members of the First Council are appointed by the Headquarters, while members of following Councils shall be elected or rotate service on the basis of the founding dates of Confucius Institutes. The other five Council Members shall be representatives of Chinese partner institutions, appointed directly by the Headquarters. The term of service of Council Members is two years. They can pursue reappointment for one term. During their tenure of office, Council Members shall not receive any payment from the Confucius Institute Headquarters. The Council shall establish positions of the Chief Executive and Deputy Chief Executives. The Chief Executive, who shall also be an Executive Council Member, is the legal representative of the Headquarters. The duties of the Council include: Formulating and amending the Constitution and By-Laws of the Confucius Institutes, examining and approving the development strategies and plans of global Confucius Institutes, examining and approving annual reports and working plans of the Headquarters, and discussing issues of significance concerning the development of Confucius Institutes. The Council shall assemble once a year, called by the Chair. When needed, the Chair may decide to call for provisional Council Meetings or Executive Council Member Meetings. 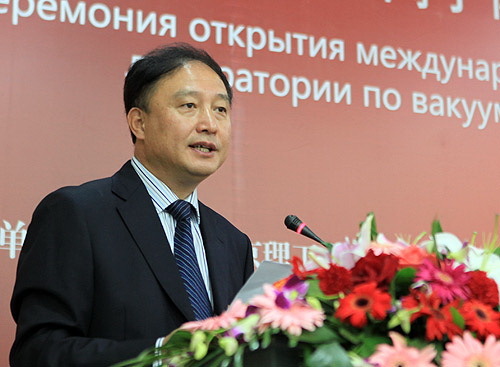 Constituting regulations and institutions for the management of the Chinese funds. The Headquarters shall establish Special Working Committees that can provide consultative suggestions to the Headquarters. Members of the Committees shall be appointed by the Headquarters. 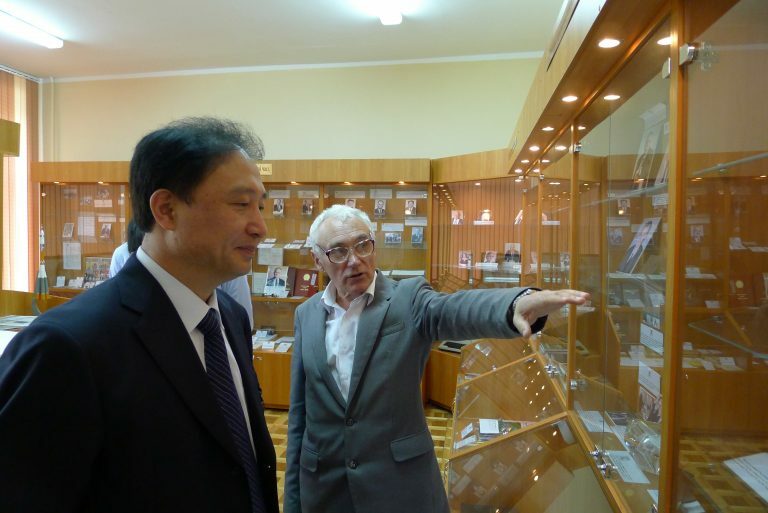 The Headquarters shall invite well-known leaders and visionaries of both China and abroad to be Senior Consultants. That the capital for the establishment is in place, and that the source of funds for operation is stable. Other materials required by the Confucius Institute Headquarters. The Confucius Institute Headquarters will assess the application package submitted by the applicant. The assessment may include verification of the document materials, debriefings and interviews, on-site verification, and consultation with experts. Upon the approval of an application, the Confucius Institute Headquarters will sign an agreement with the applicant, thus conferring the permission for establishment and the official Confucius Institute Plaque upon that applicant. A newly established Confucius Institute will receive aid to its initial operation in the form of a set amount of funds provided by the Chinese Parties. The funds for its annual projects shall be raised by individual Confucius Institutes and the Chinese Parties together in a ratio of approximately 1:1 commitment in general. The aforementioned funds provided by the Chinese Parties will be managed through project management measures. Detailed measures are stipulated in Regulations for Administering the Chinese Funds for the Confucius Institutes. An individual Confucius Institute shall establish a Board of Directors. A Confucius Institute established under joint venture between Chinese and overseas partners shall form a Board of Directors consisting of members from both sides. The total number of members and the component ratio of the Board shall be determined through consultation. The Board of Directors shall be responsible for assessing and approving the Confucius Institute’s development plans, annual plans, annual reports, project implementation schemes, budget proposals, final financial accounts. The Board shall also be responsible for appointing and dismissing Directors and Deputy Directors of the Confucius Institute. Appointments and dismissals of Directors and Deputy Directors shall be put on records at the Headquarters. The appointments of Directors and Deputy Directors for joint venture Confucius Institutes shall be decided upon negotiations between the Chinese and overseas partners. An individual Confucius Institute shall adopt a system in which the Director, under the leadership of the Board of Directors, shall assume the main responsibility for the Institute’s daily operation and administration. The Director of a Confucius Institute shall have in-depth comprehension of Chinese current national issues, a skillful command of the language of the country in which the Institute is located, suitable administrative experiences in this position, and a strong ability to promote public affiliation and market potential. Instructors appointed by Confucius Institutes shall have professional knowledge and teaching competence required by such positions as teachers. An individual Confucius Institute, in the allotted time, shall draw up executable plans for annual projects and budget proposals, summarizing the implemental efficacy reports of annual projects and final financial accounts, and submit them to the Headquarters for examination and approval. Changes and dispositions made to the assets on the Chinese side shall be reported to the Headquarters for examination and approval. Individual Confucius Institutes shall also submit the working schedules and summaries of their annual projects to the Headquarters for archiving purposes. Confucius Institutes are not profit-making organizations, hence, income drawn from operation of the Institutes shall be used for teaching activities and improving teaching and service conditions. The accumulated income shall be utilized for sustainable development of the Institutes and may not be used for purposes otherwise. The Confucius Institute Headquarters shall be responsible for conducting assessments of individual Confucius Institutes. The Headquarters reserves the right to terminate the Agreements with those Institutes that violate the principles or objectives, or fail to reach the teaching quality standards set forth by the head establishment. The Confucius Institute Headquarters shall convene a Confucius Institute Conference annually to provide the opportunity for individual Institutes to exchange ideas and experiences, and to further study issues concerning the construction and development of the Institutes. The right of priority for obtaining teaching and cultural materials or resources provided by the Headquarters. The obligation to accept both supervision from and assessments made by the Headquarters. Any violation of the Agreement or this Constitution and By-Laws of the Confucius Institutes that causes losses of capital or assets or damages or tarnishes the reputation of the Confucius Institutes. Individual Confucius Institutes may constitute their own regulations and measures in accordance with this Constitution and By-Laws and submit to the Headquarters for archiving purpose. This Constitution and By-Laws of the Confucius Institutes shall be followed as guide for setting up and regulating Confucius Institute Classrooms. The Confucius Institute Headquarters reserves the right to interpret this Constitution and By-Laws. This Constitution and By-Laws shall go into effect from the date of approval set forth by the Council of the Confucius Institute Headquarters. Confucius Institute is a network of public nonprofit centers created to promote Chinese language teaching, teacher training and the promotion of activities and educational exchanges. Founded by the Confucius Institute Headquarters and the Chinese National Office for Teaching Chinese as a Foreign Language, affiliated to the Ministry of Education of the People’s Republic of China, it has its headquarters in Beijing and is present on five continents. Confucius Institute Headquarters (Hanban) is responsible for work coordination and financing of the Confucius Institutes’ activities. Confucius Institute’s mission – to promote Chinese language and culture teaching all around the world, to establish friendship interaction of China and other countries and provide the promotion of activities and educational exchanges. 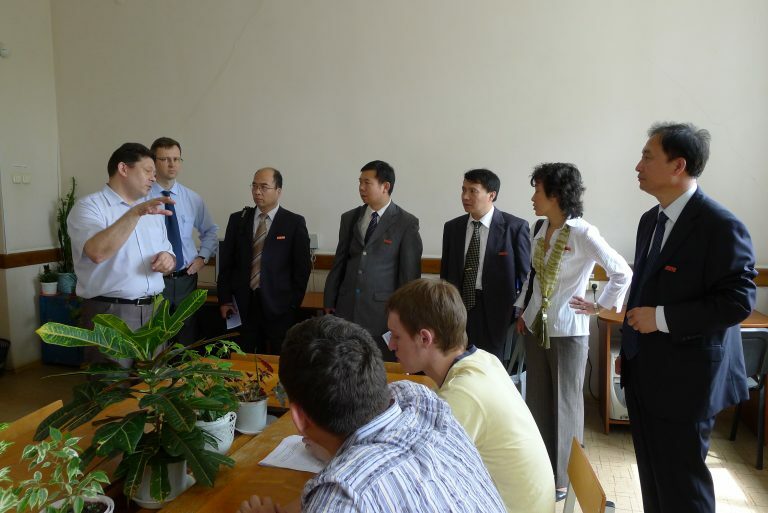 Internships in China for students and lecturers, consultations on studies in PRC. The first Confucius Institute was established on November 21, 2004 in Seoul, the Republic of Korea. In accordance with Hanban estimation, more than 40 billion of people study Chinese. Following the estimation of the Ministry of education of the People’s Republic of China, the number of people studying Chinese was up to 100 billion by the end of 2010. 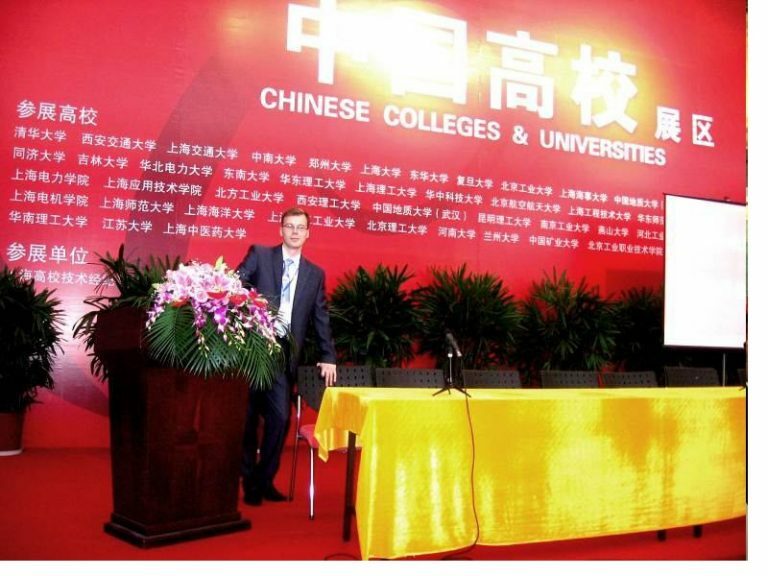 Hanban aims to increase the number of Confucius Institutes up to 1000. 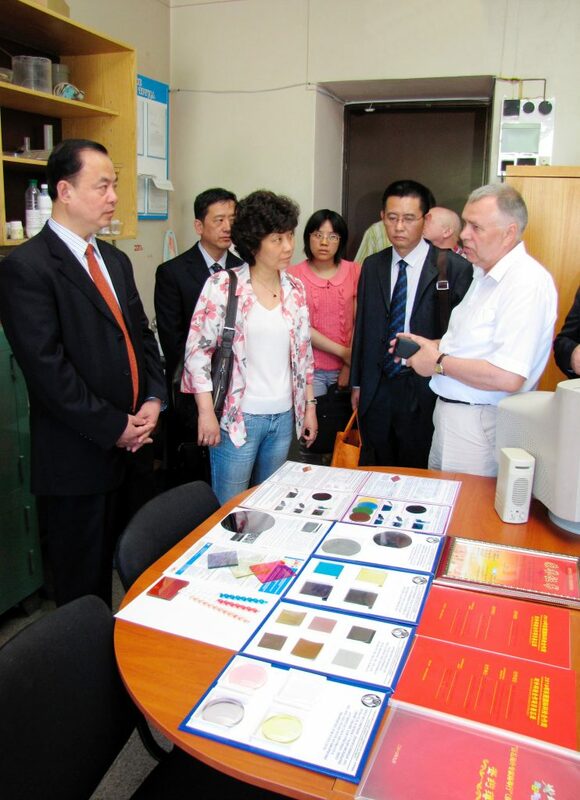 For many years Francisk Skorina Gomel State University and scientific and research institutions of China have been successfully maintaining bilateral cooperation within the framework of scientific cooperation based on the cross sectoral agreements in the sphere of education. 23cooperation agreements with Chinese higher education institutions have been signed and maintained during these years. 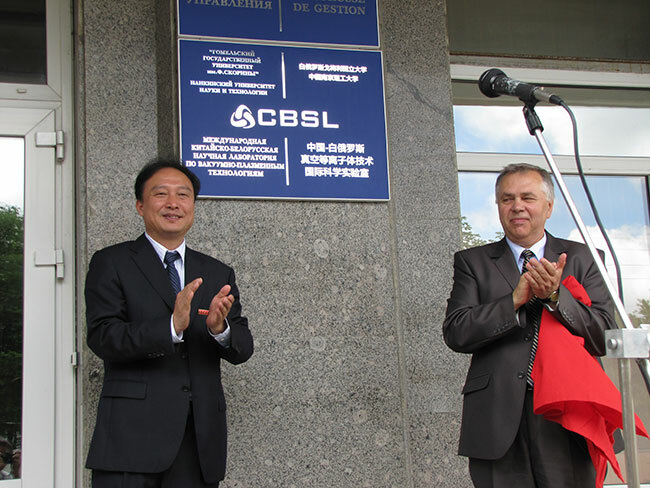 Francisk Skorina Gomel State University established close ties with Nanjing University of Science and Technologies, the largest science-oriented university located in Jiangsu Province in the east suburban area of Nanjing, China. 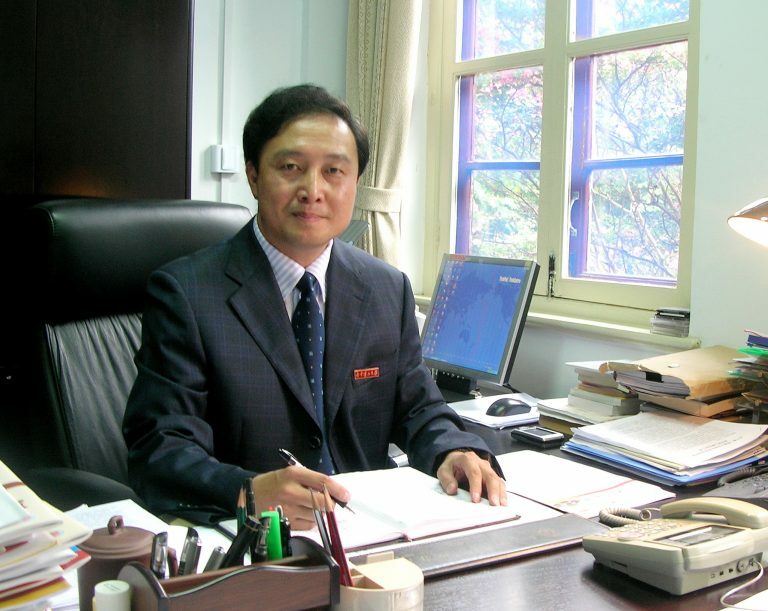 Former rector of Chinese University Wang Xiao Feng has been elected Doctor Honoris Causa of Gomel State University. 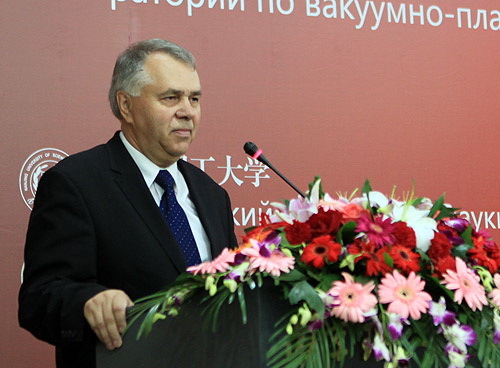 Professor Alexander Rogachev, Corresponding member of National Academy of Science of Belarus, Rector of Gomel State University has been given the title of Doctor Honoris Causa of Nanjing University of Science and Technologies. 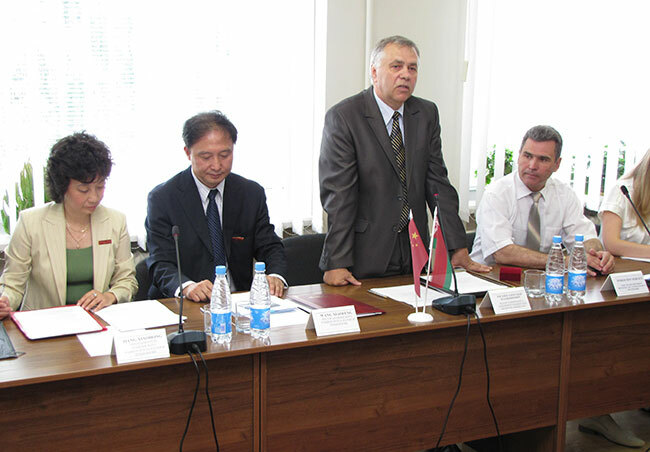 Conditions and perspectives of joint work are considered at the meetings of Intergovernmental Belarusian-Chinese commission on cooperation in the sector of science and technologies. 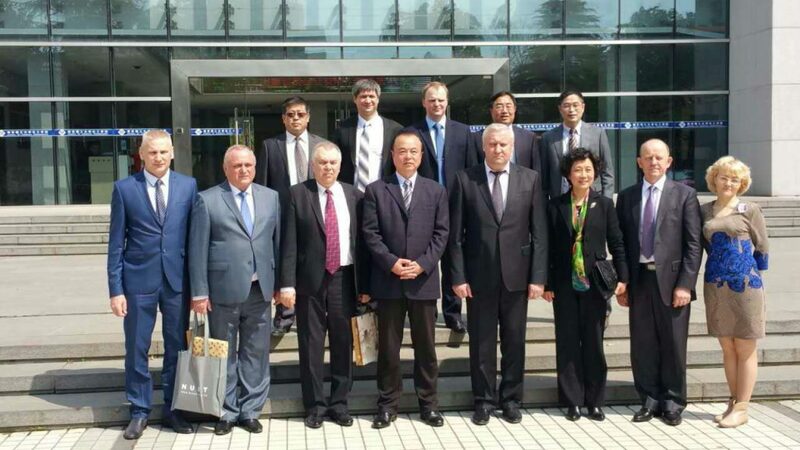 The Universities established a system of research and technical delegations’ exchange and staff assignment in order to provide joint research and development activities, scientific conferences and internship. Within the frame of our partnership the Universities maintain a bilateral experience exchange and the results obtained are published in the joint research editions. 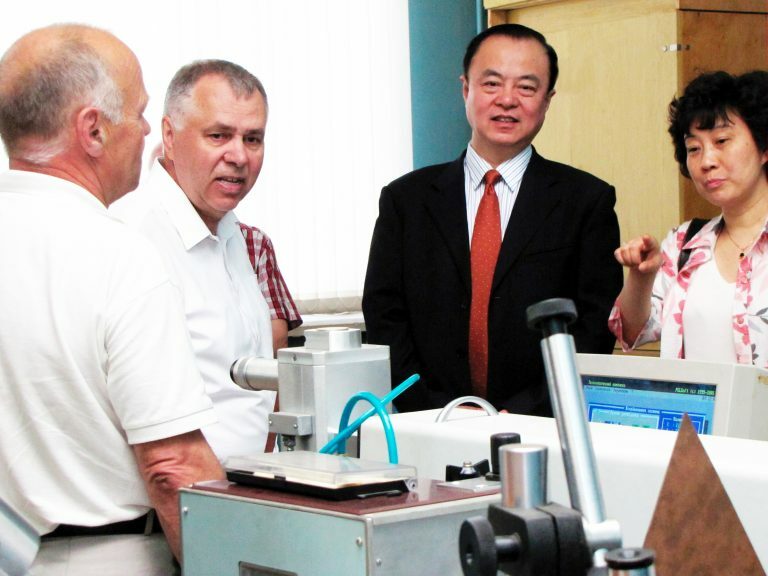 Francisk Skorina Gomel State University and Nanjing University of Science and Technologies organize collaborative scientific and research conferences and meetings, where the specialists from both countries can share their experience and plan the directions of their prospective cooperation. Research associates of both Universities carry out collaborate investigations and develop new technologies of polymer and carbon coatings formation and fulfill mutually beneficial exchange of scientific and technical information, apply scientific equipment of the common use center and perform collaborative experiments on development of new perspective materials. 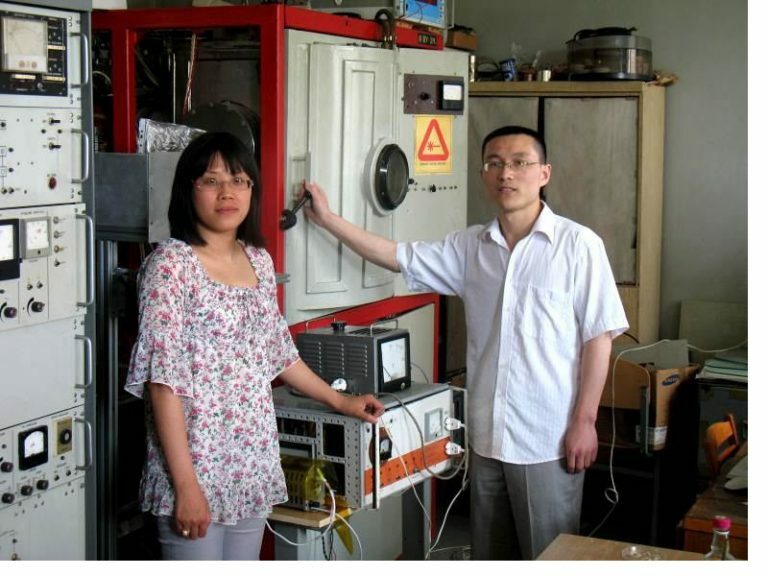 More than 10 scientific papers were published as a result of team-work with Chinese partners in priority scientific and technical magazines of Europe, the USA and China. In accordance with the results estimated a number of recommendations were offered in order to improve the formation and regulation methods of multicomponent carbon and polymer coatings and the directions of their effective application were defined. 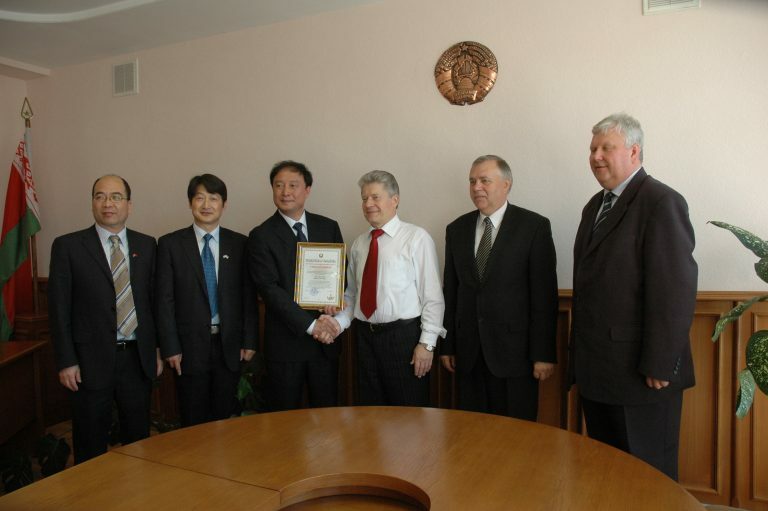 Concerned efforts and effective application of joint scientific innovative basis and fruitful academic and technical cooperation of Gomel State University and Nanjing University of Science and Technologies was followed by a line of negotiations and further execution of Agreement for establishment of International Chinese-Belarusian research laboratory on vacuum-plasma technologies that can be considered as a guarantee of mutually beneficial prospective successful scientific cooperation. 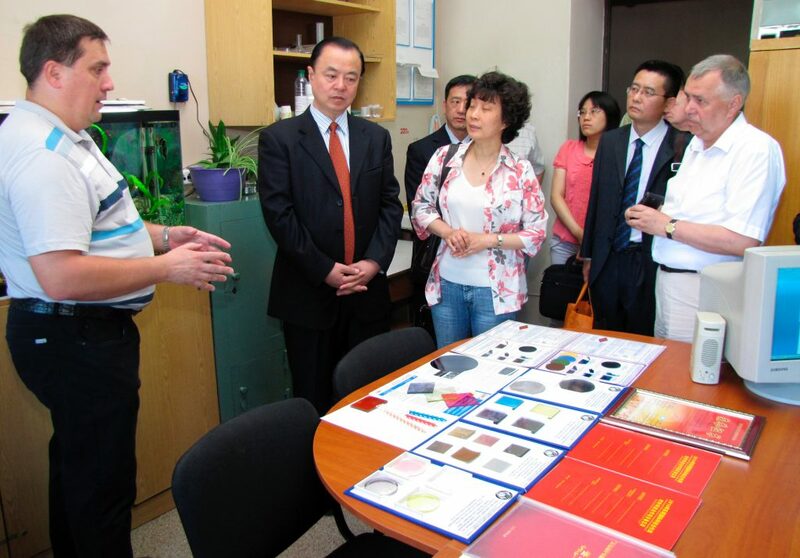 Sinology classroom was established at GSU Faculty of Philology with the assistance of the Embassy of People’s Republic of China at 2006. 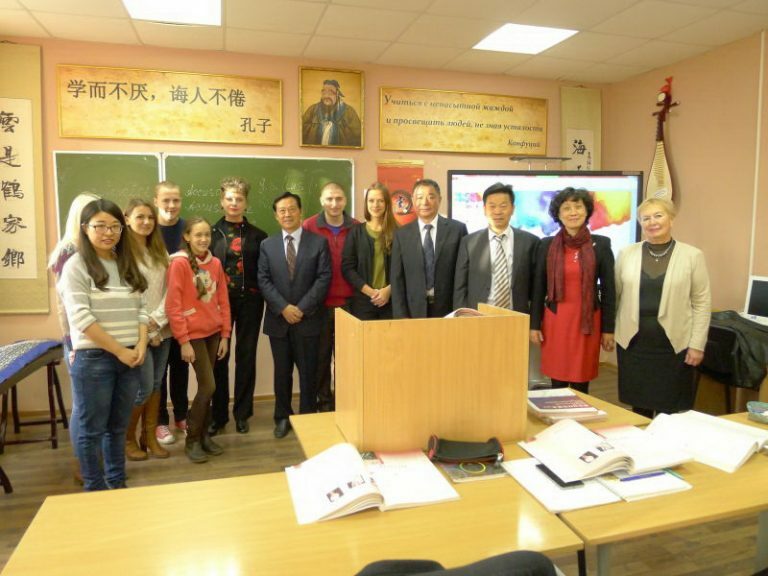 Chinese language teaching as an optional subject was based at Gomel State University Sinology classroom. It has been performed by volunteer lecturers from China since 2007: they are responsible for not only academic work but also for educational process. Nanjing University of Science and Technologies is one of the national key universities under the Ministry of Industry and Information Technology of China. It was established in 1953 and called Artillery Engineering Institute (1960-1966), Engineering Institute of Eastern China (1966-1984), and East China Institute of Technology (1984-1993), and finally got its current name in 1993. Nanjing University of Science and Technologies is a science-oriented university located in Xuanwu District in the east suburban area of Nanjing, China. It has become a multi-disciplinary university comprising academic fields including: science, engineering, liberal arts, economics, business, management, law and education. In addition, NJUST encompasses a wide array of centers, institutes, programs, and administrative support offices. NJUST carries on its education and research on both undergraduate and postgraduate levels in 15 schools, led by a total of 70 undergraduate majors, 116 master programs and 49 doctoral programs, and 14 Post-doctoral research stations. The philosophy of Confucius, also known as Confucianism, emphasized personal and governmental morality, correctness of social relationships, justice and sincerity. His followers competed successfully with many other schools during the Hundred Schools of Thought era only to be suppressed in favor of the Legalists during the Qin Dynasty. Following the victory of Han over Chu after the collapse of Qin, Confucius’s thoughts received official sanction and were further developed into a system known in the West as Neo-Confucianism, and later New Confucianism (Modern Neo-Confucianism). Confucius’s principles have commonality with Chinese tradition and belief. He championed strong family loyalty, ancestor veneration, and respect of elders by their children and of husbands by their wives, recommending family as a basis for ideal government. He espoused the well-known principle «Do not do to others what you do not want done to yourself», the Golden Rule. He is also a traditional deity in Daoism. Throughout history, Confucius is widely considered as one of the most important and influential individuals in affecting the lives of humanity. His teaching and philosophy greatly impacted people around the world and still linger in today’s society.